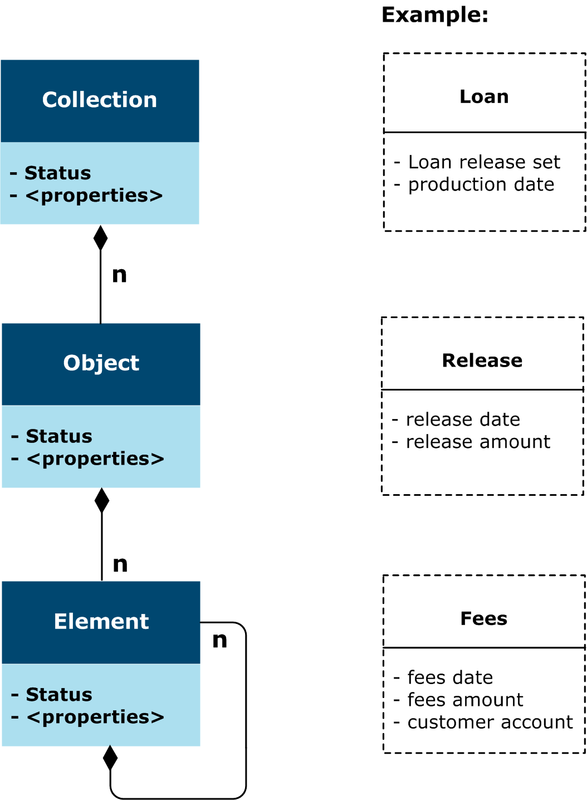 The data model that the product handles is illustrated in the example below. Defined using a set of properties. Datastore imports the input data into Business Objects that are processed manually by the user. New Objects can also be created. Datastore exports the Business Objects into output data that can be processed by other components. 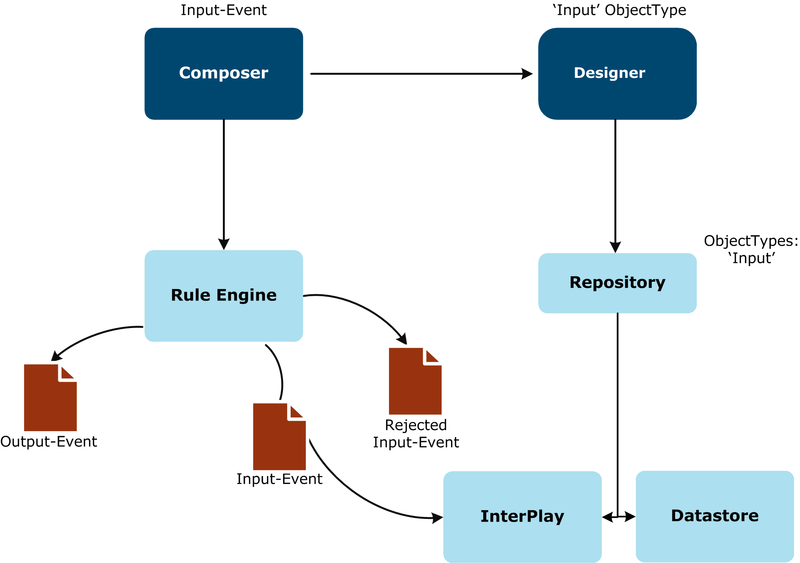 The Designer is used to define the data model and editors to manipulate the Business Objects.